Dogs and puppies can get anxious too! This article looks at products like Crazy Dog Organic Train-Me! Treats to help with training and stress. Clean teeth the eco-friendly way with EcoBath Manuka Honey pet dental gel and dental water additive. Cardinal Pet Care cited in Growing Trends article. Pet parents want healthy, safe treats they can feel good buying and feeding to their pups. EcoBath Manuka Honey raises awareness for pet dental month and the need for proper oral hygiene when caring for pets. 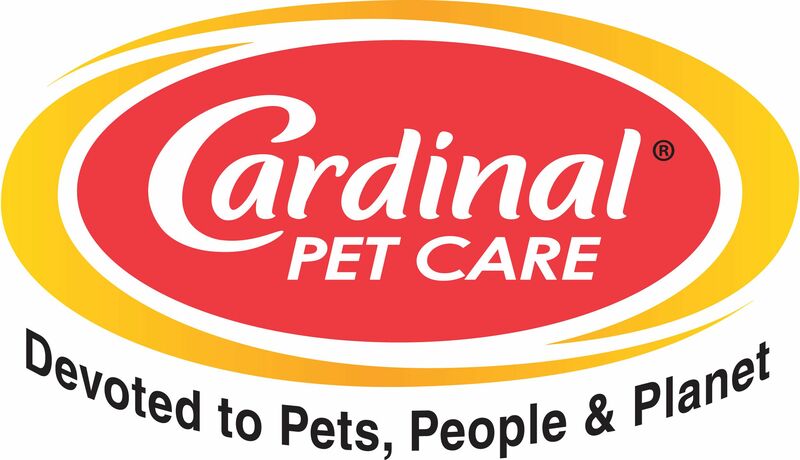 Cardinal Pet Care is a leader in driving sustainability in the pet industry. Pet retailers see rising demand for pet first aid and wellness products. EcoBath Manuka Honey pet grooming line wins Pet Business 17th-annual Industry Recognition Award for shampoo category. Sustainability is the centerpiece of Cardinal Pet Care from its operations to its energy usage. How Manuka Honey is changing the grooming category. Cardinal Pet Care donates EcoBath Manuka Honey pet shampoo to local shelters including the Pasadena Humane Society. Cardinal Pet Care launches HoneyMobile fleet to donate EcoBath Manuka Honey pet shampoo to animal shelters. Tony de Vos praises the Pet Sustainability Coalition (PSC) for its hard work and dedication in bringing industry leaders together to pursue a brighter and cleaner future. Thanks to innovative manufacturers, owners of anxious pets now have a bevy of soothing products to choose from. EcoBath Manuka Honey is the new sweet spot in pet hygiene. Crazy Dog Organic Train-Me! Dog Treats are featured in the October issue of Pet Business's Product Roundup. The Remedy+Recovery Calming Lavender Mist is featured in Pet Business's October Issue of calming products. As part of its pets, people, planet mission, Cardinal Pet Care will be sponsoring the Pet Sustainability Coalition's Impact Unleashed event. Cardinal Pet Care hosted a Crazy Dog photo contest with a local preschool to teach kids about the importance of respecting, caring for and training pets. Spa products are no longer just for pampering. Health and hygiene are important factors as evident by the new pet grooming line EcoBath Manuka Honey. Keeping dogs calm during summer travel with the Remedy+Recovery Calming Lavender Mist. Remedy+Recovery Keeps Pets Calm All Summer and Beyond. Cardinal to highlight calming products and first aid remedies at InterZoo 2018. Remedy+Recovery's cone voted #1 by wirecutter review. Cardinal Pet Care leads the pet industry with innovative product offerings including the Crazy Dog Train-Me! Organic dog treats.